There’s only one thing left to do – send out those holiday greeting emails to all of your customers. It seems simple, right? Just send an email saying ‘happy holidays’, and you’re done. But wait! Not so fast. 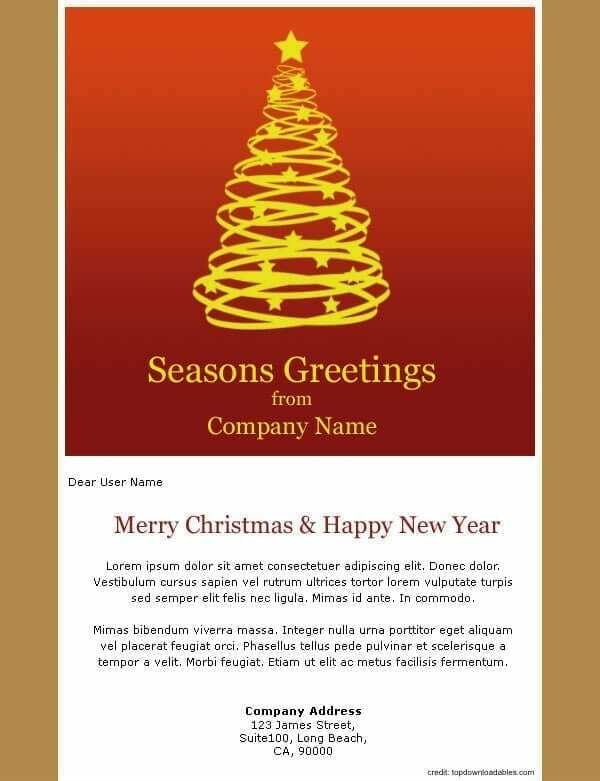 A clever holiday greetings email can help boost your sales and be great for businesses of all kinds. Going beyond a standard “Happy Holidays!” message can help set the tone for customer/client relationships in the coming year. 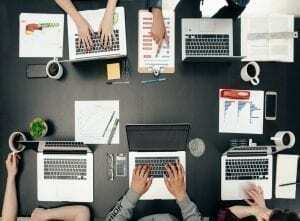 Not sure what to say, how to say it, or what type of email template might be right for you? Allow us to break it down for you with a few of our favorite examples! Going beyond a standard “Happy Holidays!” message can help set the tone for customer/client relationships in the coming year. 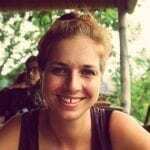 Not sure what to say, how to say it, or what type of email template might be right for you? If you’re looking for a message that is simple and straight to the point, a template similar to this one may just be what you are looking for. Sending a “Merry Christmas” or “Happy Holidays” message with no marketing gimmicks or offers comes off as genuine to many customers and clients. Add in festive colors and a few holiday themed clip art pieces and voilá! The perfect email template to get your greeting across. Running a small business or being a self-employed freelancer, you understand the value of sending out a personalized holiday greeting messages via email. If you are in the business of retail or sales (with a larger email list), you know that taking full advantage of marketing benefits during the holidays may be more helpful to you. 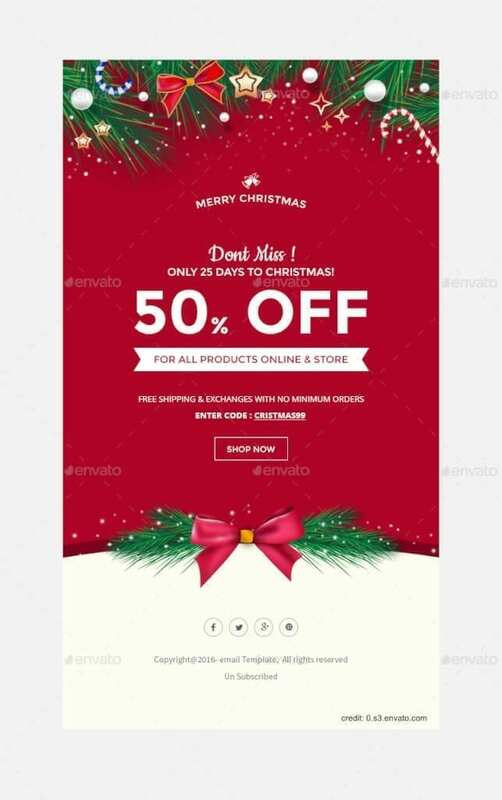 If that’s the case, use an email template that emulates the season/holidays in the design while you use your copy to captivate your customers into action. After all, what would the holidays be without amazing end of year deals? If you are running a nonprofit organization (or just want to spread a little holiday cheer to others), a holiday email can be a great way to reach out to potential donors and raise awareness for your cause. The holidays are all about giving, and sending out a holiday greetings message that captures this in the template can be a great way to raise some funds and make a few wishes come true before the end of the year! Maybe you don’t have customers on your list to thank, and maybe you don’t have products to sell or causes to promote. Maybe you’re gearing up for a company launch with the start of the new year and want to find a way to drum up a little interest in your business or cause. A holiday newsletter filled with helpful information about your company can be a great way to give new and future customers an introduction to your brand, while also helping you establish a voice for your business. It may seem unimportant, but introductions can be a vital part in establishing a strong customer-company relationship. What better way to do this than with a little holiday email cheer? At the end of the day, the perfect holiday greetings email will be all about what works best for you. 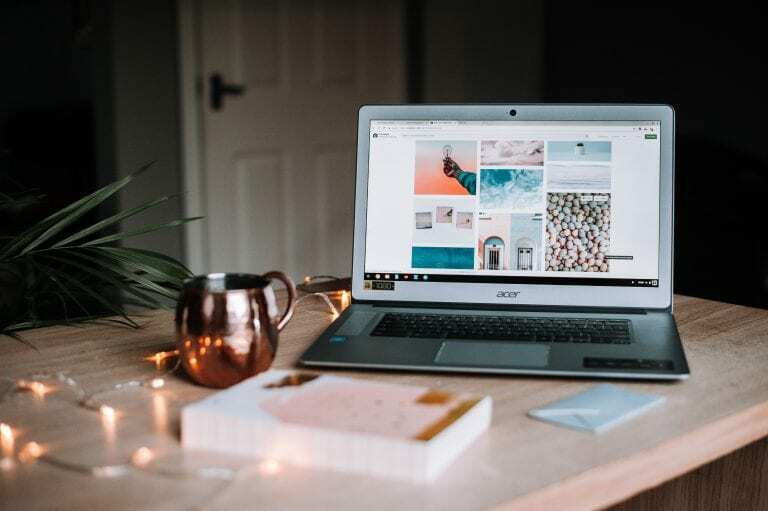 Think about what you want to accomplish with your email – a thank you and simple greeting, a marketing opportunity, a successful fundraiser, or just an introduction. A holiday message from a freelancer to her clients may not be the same as one from a nonprofit to its donors or one from a small business to its loyal customers. Using email to send out your holiday greetings message can be an amazing tool, just be sure you use it wisely! Once you have found and dowloaded your favourite email template, you can copy and paste it into your Mailbird compose window. Type in your holiday greeting and send it off. Please remember, Mailbird is not an email marketing tool. If you are planning to send out the holiday greeting email to more than one contact you will need to do that manually. 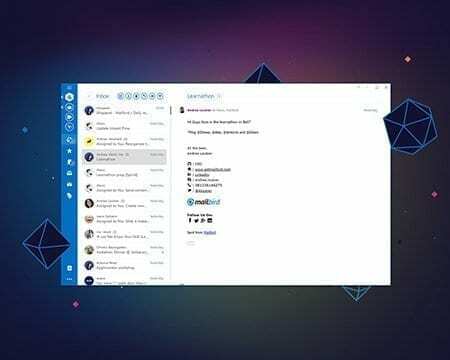 Mailbird won’t be able to personalise those emails. Should you want to send out a generic email, you can of course do that to more than one contact. What is the best or worst Holiday greeting you have ever received or sent out? Let us know in the comments section. Editor’s Note: This post was originally published in December 2016 and has been revamped and updated for accuracy and comprehensiveness. 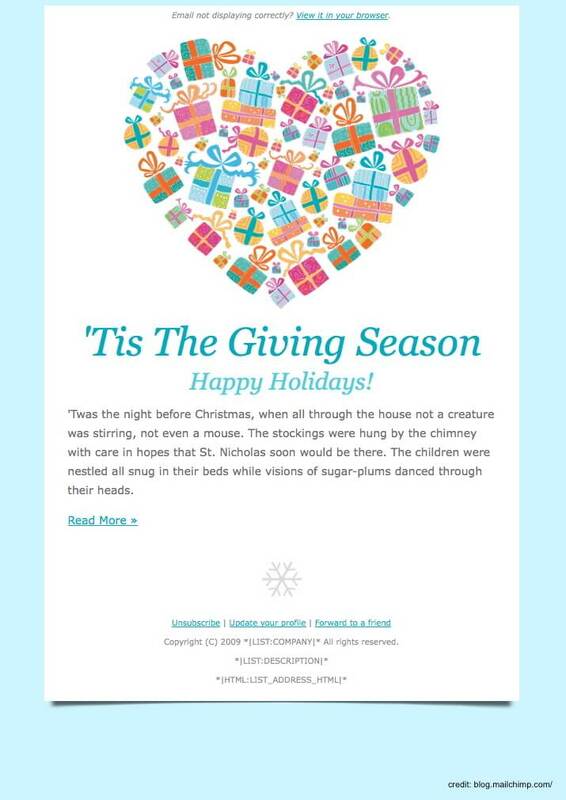 4 thoughts on "Finding The Right Holiday Greetings Email Template"
Nice examples. How do i create such templates for emails? then the next question is: how to you use such a template in mailbird? Hey Paul:-) Once you have downloaded the template you can copy & paste it to the compose window. Please remember though, that Mailbird won’t be able to personalise the newsletter like an email software like Mailchimp i.e. If you want to send them out addressing the recipient personally they will need to be sent out one by one. For big email blasts, we would really recommend a service to help with that. Let me know if that helped you or of you have anymore questions.